Your strong support helped us persuade California’s lawmakers to do the right thing on many important technology bills debated on the chamber floors this year. With your help, EFF won an unprecedented number of victories, supporting good bills and stopping those that would have hurt innovation and digital freedoms. Here’s a list of victories you helped us get the legislature to pass and the governor to sign, through your direct participation in our advocacy campaigns and your other contributions to support our work. Our biggest win of the year, the quest to pass California’s net neutrality law and set a gold standard for the whole country, was hard-fought. S.B. 822 not only prevents Internet service providers from blocking or interfering with traffic, but also from prioritizing their own services in ways that discriminate. 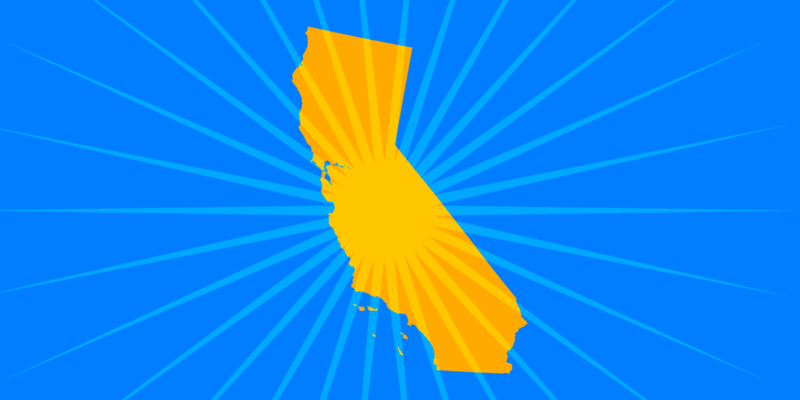 California made a bold declaration to support the nation’s strongest protections of a free and open Internet. As the state fights for the ability to enact its law—following an ill-conceived legal challenge from the Trump administration—you can continue to let lawmakers know that you support its principles. Transparency is the foundation of trust. Thanks to the passage of S.B. 978, California police departments and sheriff’s offices will now be required to post their policies and training materials online, starting in January 2020. The California Commission on Peace Officer Standards and Training will be required to make its vast catalog of trainings available as well. This will encourage better and more open relationships between law enforcement agencies and the communities they serve. Increasing public access to police materials about training and procedures benefits everyone by making it easier to understand what to expect from a police encounter. It also helps ensure that communities have a better grasp of new police surveillance technologies, including body cameras and drones. Cameras worn by police officers are increasingly common. While intended to promote police accountability, unregulated body cams can instead become high tech police snooping devices. Some police departments have withheld recordings of high-profile police use of force against civilians, even when communities demand release. Prior to this bill’s introduction, Los Angeles, for example, had a policy that didn’t allow for any kind of public access at all. The public now has the right to access those recordings. A.B. 748 ensures that starting July 1, 2019, you will have the right to access this important transparency resource. EFF sent a letter stating its support for this law, which makes it more likely that body-worn cameras will be used as a tool for holding officers accountable, rather than a tool of police surveillance against the public. As the legal marijuana market develops in California, it is critical that the state protects the data privacy rights of cannabis users. A.B. 2402 is a step in the right direction, providing modest but vital privacy measures. A.B. 2402 stops cannabis distributors from sharing the personal information of their customers without their consent, granting cannabis users an important data privacy right. The bill also prohibits dispensaries from discriminating against a customer who chooses to withhold that consent. As more vendors use technology such as apps and websites to market marijuana, the breadth of their data collection continues to grow. News reports have found that dispensaries are scanning and retaining driver license data, as well as requiring names and phone numbers before purchases. This new law ensures that users can deny consent to having their personal information shared with other companies, without penalty. DNA information reveals a tremendous amount about a person – their medical conditions, their ancestry, and many other immutable traits – and handing over a sample to law enforcement has long-lasting consequences. Unfortunately, at least one police agency has demanded DNA from youths in circumstances that are confusing and coercive. A.B. 1584 makes sure that before this happens, kids will have an adult in the room to explain the implications of handing a DNA sample over to law enforcement. Once this law takes effect in January 2019, law enforcement officials must have the consent of a parent, guardian, or attorney, in addition to consent from the minor, to collect a DNA sample. EFF wrote a letter supporting this bill as a vital protection for California’s youths, particularly in light of press reports about police demanding DNA from young people without a clear reason. In one case, police approached kids coming back from a basketball game at a rec center and had them sign forms “consenting” to check swabs. A.B. 1584 adds sensible privacy protections for children, to ensure that they fully understand how police may use these DNA samples. It also guarantees that, if the sample doesn’t implicate them in a crime, it will be deleted from the system promptly. Internet access is vital to succeeding in today’s world. With your support, we persuaded lawmakers to recognize how important it is for some of California’s most vulnerable young people—those involved in the child welfare and juvenile justice systems— to be able to access the Internet, as a way to further their education. A.B. 2448 guarantees that access. EFF testified before a Senate committee to advocate for the 2017 version of this bill, which the governor vetoed with the condition that he would sign a more narrow text. The second version, however, passed Gov. Brown’s muster. Throughout the process, EFF launched email campaigns and enlisted the help of tech companies, including Facebook, to lend their support to the effort. This law affirms that some of the state’s most at-risk young people have access to all the resources the Internet has to offer. And it shows the country that if California can promise Internet access to disadvantaged youth, then other states can, too. A.B. 2769 closes this loophole. It makes sure that you have the same protections against having your information shared without your consent whether the bouncer checking you out is swiping your card or scanning it. EFF sent a letter in support of this bill to the governor. People shouldn’t lose the right to consent to data sharing simply because the place they go chooses a different method of checking their identification. Thankfully, the governor signed this common-sense bill. A.B. 2192 was a huge victory for open access to knowledge in the state of California. It gives everyone access to research that’s been funded by the government within a year of its publication date. EFF went to Sacramento to testify in support of this bill. We also wrote to explain that it would have at most a negligible financial impact on the state budget to require researchers to make their reports open to the public. This prompted lawmakers to reconsider the bill after previously setting it aside. A.B. 2192 is a good first step. EFF would like to see other states adopt similar measures. We also want California to take further strides to make research available to other researchers looking to advance their work, and to the general public. Fighting “fake news” has become a priority for a lot of lawmakers, but S.B. 1424, a bill EFF opposed, was not the way to do it. The bill would have set up a state advisory committee to recommend ways to “mitigate” the spread of “fake news.” That would have created an excessive risk of new laws that restrict the First Amendment rights of Californians. EFF sent a letter to the governor, outlining our concerns about having the government be the arbiter of what is true and what isn’t. This is an especially difficult task when censors examine complex speech, such as parody and satire. Gov. Brown vetoed this bill, ultimately concluding that it was not needed. “As evidenced by the numerous studies by academic and policy groups on the spread of false information, the creation of a statutory advisory group to examine this issue is not necessary,” he wrote. California's new bot-labeling bill, S.B. 1001, initially included overbroad language that would have swept up bots used for ordinary and protected speech activities. Early drafts of the bill would have regulated accounts used for poetry, political speech, or satire. The original bill also created a takedown system that could have been used to censor or discredit important voices, like civil rights leaders or activists. EFF worked with the bill's sponsor, Senator Robert Hertzberg, to remove the dangerous language and think through the original bill's unintended negative consequences. We thank the California legislature for hearing our concerns and amending this bill. You spoke, and California’s legislature and governor listened. In 2018, we made great progress for digital liberty. With your help, we look forward to more successes in 2019. Thank you!